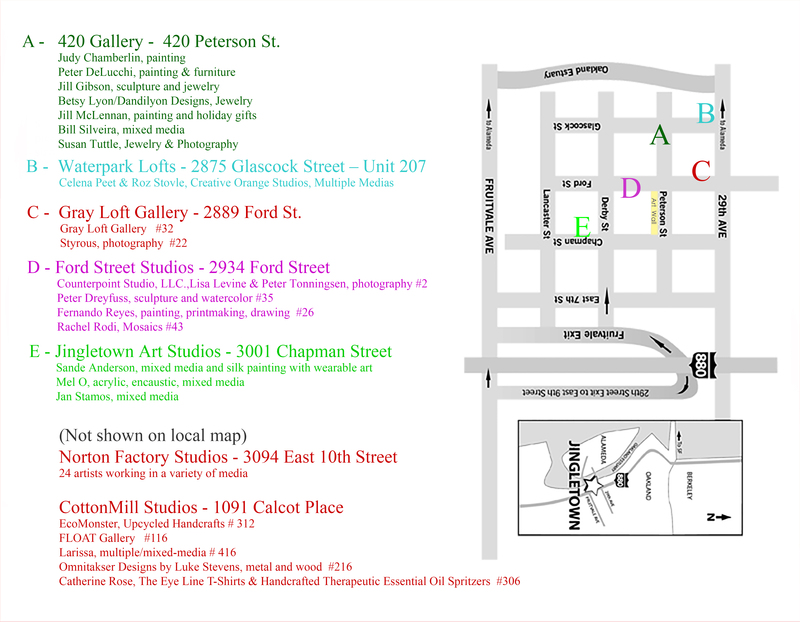 Jingletown Arts & Business Community in Oakland, California, is pleased to announce the 9th Annual Winter Art Walk, Saturday and Sunday, December 6 – 7, 11 a.m. to 6:00 p.m.
Galleries in the neighborhood will also hold 2nd Friday Art Walk receptions on December 12, from 6:00 to 9:00 p.m. and are indicated with an *. These events are free and open to the public. 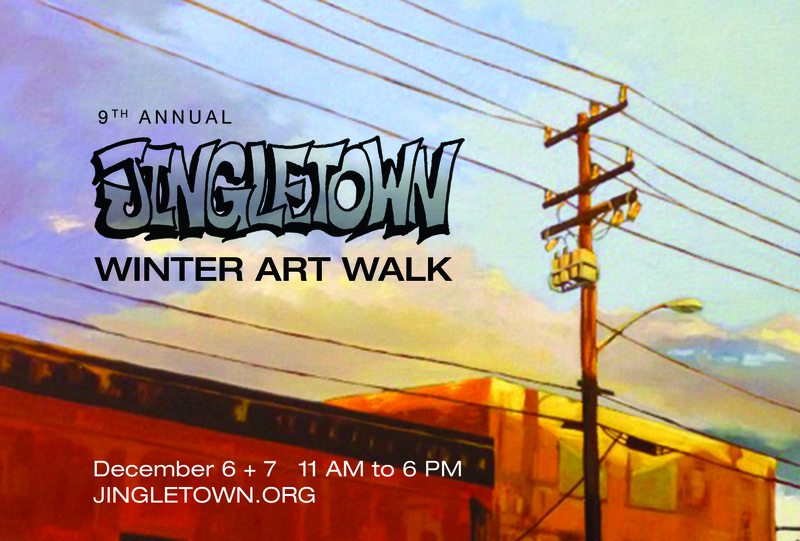 Jingletown has a number of galleries, including: 420 Gallery, Gray Loft Gallery, Float Gallery, JIngletown Art Studio Gallery, Norton Factory Studios, as well as studios of many outstanding artists who are living and working in one of the most established arts districts in the Bay Area. Jan Stamos, mixed media www.janstamos.com. About Jingletown: Jingletown acquired its name at the turn of the century from the Portuguese cannery workers whose earnings would “jingle” in their pockets at the end of the day as they walked home from the factories in the area, signifying prosperity. As time went on the neighborhood went into disuse, but in the early 1980’s artists realized the potential and converted many of the neglected warehouses into functioning live/work spaces. It is now a thriving artist community and one of the fastest growing arts district in the Bay Area.In a time when our neighborhood has been changing dramatically, the goal of the Jingletown Arts and Business Community is to heighten awareness about the rich and diverse population of working and exhibiting artists and the creative opportunities in the Jingletown Arts District.